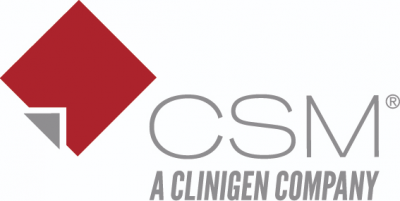 CSM, a Clinigen company, is the only global company 100% focused on Clinical Trial Supplies and Biological Sample Management services with 20+ years’ experience. Committed to ensuring Phase I to Phase IV clinical trials are a success, regardless of size or scope, CSM packages over 1.5 million patient kits and makes over 27,000 IMP shipments in 86 countries worldwide every year. With employees over 5 sites in the US and Post-Brexit EU and a proprietary ERP system, CSM is agile by design. CSM can package, label and ship to any location in the US in less than 48 hours and in the EU CSM can create, print and release labels, provide packaging On-Demand, secure QP Batch Certification and ensure kits are ready for shipment in less than 72 hours. CSM innovates to make clinical trials more (cost-) efficient and reliable with specialized service solutions like Investigator Initiated Study service, On-Demand packaging and labeling, Direct-to-Patient shipping and QP services.